Love. It may be the most overused and least understood word in any language. When we express our love to different people like this, the chances are that we don’t mean to say that we love each of them in exactly the same way. I don’t love my cousin in the same way that I love my kids, although I do love them both. And when we talk about the love required to get a marriage started or to keep a marriage going, the nature of that love is different from other kinds of love. Yet, there’s a commonality among all the ways in which we love, however special or unique a particular love may be. Eric and Nancy, you’ve chosen as one of your Bible lessons for today 1 Corinthians, chapter 13. It’s often called the love chapter and it’s also often read at weddings. But it should be remembered that the words of the love chapter weren’t written about the covenant of marriage involving a man, a woman, and God established by God. The love chapter was written by the apostle Paul to a congregation in the first century Greek city of Corinth. The congregation was torn by conflicts and factions. Some church members looked down their noses at other members because they had the gift of tongues and the people they looked down on didn’t. They thought that made them superior. Some wealthy members wouldn’t share their food with poorer members when they all gathered for worship. Much of what Paul writes in the love chapter is so beautiful that, down through the centuries, people have stitched his words onto pillows and samplers, put them on posters, even included them in songs. Eric and Nancy, a simple question. Do you always love like that? Do you always love each other like that? Before you embarrass yourselves by answering that publicly, I can tell you, honestly and forthrightly, that I am not always patient or kind. There are times when I do envy, boast, feel and act proud; when I do dishonor others and look out for number one, get angry over nothing, and keep records of the wrongs done to me even by the people I say I love. So, here is the Christian’s dilemma when it comes to all of our relationships, but especially when it comes to our marriages: We believe that selfless, patient, kind love is what makes marriages work. Yet, when we’re honest, we know that we are incapable of the selflessness, patience, and kindness that are among the basic necessities of marriage, the basic elements of marriages that work. I say all of this not to try to convince you or anyone else not to get married. But I say it so that as you marry, I just ask you to remember that good marriages require love like Paul talks about in 1 Corinthians--just as good friendships do. I ask you to remember this: No human being I know is capable of loving like that in their own power. This dilemma shouldn’t cause anyone to throw up their hands in hopelessness though! There is a source for the kind of love needed to make marriages work. It’s found in the God we meet in Jesus Christ. The Bible tells us that, “God is love.” This doesn’t mean that God is an abstract concept! God is the supreme being of the universe, who made all of creation--including you and me--out of self-giving, patient, kind, and powerful love. And this is the God Who so loved the world--including you and me--that He gave His only Son Jesus so that all who believe in Him will not perish but have everlasting life with God. For marriages to work, for families to work, for friendships to work, for work to work, there must be love. Not constantly sentimental, syrupy love, though that can have its place. The Christian lives in the assurance that, as Saint Paul writes elsewhere, nothing can separate us from the love of God in Christ Jesus our Lord. Marriages without Christ at their center don’t have a chance of becoming any of what they could be. Marriages with Christ at their center--expressed in regular prayer and Bible study together, worship together, repentance and renewal together--marriages like that can be celebrations and laboratories of love that give inspiration to others and give confidence and security and joy to the husband and wife who live this way. Great insights from two great artists: Bono, lead singer of U2, and Pastor Eugene Peterson, writer, poet, and translator of The Message version of the Bible. By the way, 'Raised by Wolves' to which Bono makes reference, is my favorite song on U2's most recent LP, Songs of Innocence. 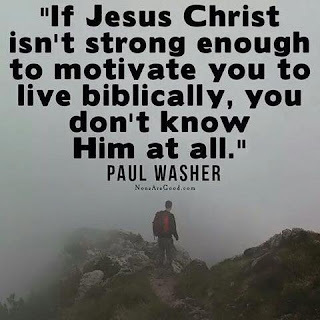 Want to Get to Know Jesus Christ? Lots of people are talking about Beyonce's new LP, released as a one-hour set visual album over the weekend. Even PBS Newshour just finished running an interview with a Penn State prof enthralled with the release. By the way, Beyonce has a terrible swing. She could never break into the majors with it. On Saturday, returning from a daylong meeting with church members, someone mentioned the name of an Ohio town. "Isn't that where Garfield was from?" I asked, realizing in an instant that people would think I was referring to James A. Garfield, America's twentieth president, and not to the orange cat in comic strips. Garfield doesn't come up often in conversation and the only biography I've read of him wasn't very good. Others will know that Garfield was an ordained minister, the only such person to ever be president. None of that came up during the Saturday drive. But having briefly mentioned Garfield one day, I was surprised the next day to find an article in Christianity Today's The Local Church about Garfield. Garfield’s relative anonymity in history shouldn’t surprise us—an assassin’s bullet tragically ended his life less than seven months into his term. His legacy, however, is important because his story relates an enduring lesson: true, dignified influence is often achieved not through force or compulsion, but through quiet humility. In the midst of this year's wretchedly depressing presidential campaign, as we watch more than a few candidates pander, grovel, assault, and misconstrue the records or beliefs of others, it would be refreshing to be surprised by the nomination of a Garfield, a candidate not seeking the office, but seeking to do the first thing all leaders must do, serve. It's something to pray for. But barring that miracle, maybe we who follow Christ could pray that, like Garfield, we could learn what it means to humbly follow the crucified and risen Jesus. We probably won't ever be elected president. But filled with the power of our Lord, God may use us to change the lives of the people we encounter each day for the better. And doing that would be a great ambition for each of us to hold. ...He wanted people to think of themselves as Americans, not as citizens of separate states." Alexander Hamilton was among the foremost purveyors of New York Values, says Cass Sunstein. I think he's right. This is precisely the story of Hamilton, the illegitimate son of a man who eventually abandoned him, born in the Caribbean, a immigrant to America, where he graduated from King's College (now Columbia University), became a leader in the Revolutionary War, wrote the lion's share of The Federalist Papers, and, while serving as George Washington's secretary of the treasury, created the American economy. That economic system has led not only to the nation with the most sustained prosperity in world history, it also was one major factor in fostering American national unity. That represents another of Hamilton's New York Values. He saw himself more as an American than as a New Yorker. Like Washington, he understood the importance for the nation that fought a revolution for liberty to complete that revolution by a commitment to mutual dependence and accountability, resulting in the US Constitution. Most politicians who run for national office develop a deep affection for the nation’s diverse states, with all their unique quirks and histories. It’s much worse than bad politics for a candidate to complain about “Vermont values,” “Nebraska values,” “Georgia values,” “Ohio values,” or the values of any of the states. In light of the nation’s hard-won unity, it’s a betrayal of the great motto of the United States, which can also be found on our currency: E pluribus unum (from many, one). Hamilton was in a very real sense not only the quintessential New Yorker, but because of his commitment to New York Values, was, along with the Virginian Washington, one member of a new species that has been around now for more than two centuries. Alexander Hamilton was an American. I've posted this video for Andy Mineo's Uncomfortable before, back in January. But I was listening to the LP again tonight on the way back from Middle School Ministry (MSM or Catechism) class...and it's so good! Look up the lyrics here. "I think I got too comfortable..."
Imagine that you’re the fan of a best-selling series of novels. For several years, you’ve been waiting for the last book in the series to be published. You’re so dedicated to the stories, in fact, that you stand outside in the shivering cold to be among the first million or so people who rush into a bookstore in order to snap up a copy of the latest installment just past midnight. You purchase your copy and head home intent on binge reading through the night in order to know how the central mysteries of the series are resolved. You can’t wait to get started! On the way home, you turn on your car radio and hear a news report on how millions around the world, just like you, are buying the book. Everything you’d been wanting to learn through hours of enjoyable reading is now revealed to you in a matter of seconds by a big-mouthed radio announcer. You know the end the story. Will you turn your car around and return the book for a refund, the experience of reading the book now ruined for you? Will you join a class action lawsuit against the newscaster and his employers for spilling the beans? Or will you, so in love with the universe created by the author of this series of books, shrug your shoulders and read the final book differently than you would have otherwise? Will you now, read the book knowing that, while bad things will come, in the end all will be well? Knowing how things turn out, in fact, may help you to go through the story with a comfort and enjoyment you might not otherwise have. You know what’s important and what plot twists are really red herrings that have no power to change the definite good end the author has in mind. Today, as we continue our series Understanding Revelation, we near the end of a book designed to let God’s people who follow Christ know that in the unfolding history of life in this creation--in the life of this universe, in our personal and communal lives as Christians--there will be adversity, persecution, and death. But Revelation also comes to tell us that those who endure in following Jesus are part of the new and eternal thing that God began in Jesus Christ. John, the author of Revelation, the recipient of the great vision from God that makes up the book, would agree with the apostle Paul when he writes in 2 Corinthians: “...if anyone is in Christ, the new creation has come: The old has gone, the new is here!” Like the big-mouthed newscaster, John wants to tell us how the story ends for those who believe in and follow and trust and worship the God we know in Jesus Christ! Is John wrong in doing this? Knowing how the story of this universe ends, knowing how the story of your life ends if you will daily trust and obey the God we meet in Jesus Christ, does it ruin everything? Do you want to sue God for spoiling the story? Or, instead, doesn’t knowing that God is in control of history and how it ends and that the Author of life wants you for all eternity, make you want to change how you live each day? Doesn’t it make you want to side with the whole great story’s writer and hero, Jesus Christ? Doesn’t it help you to see your life, your relationships, your life’s work and daily activities differently? 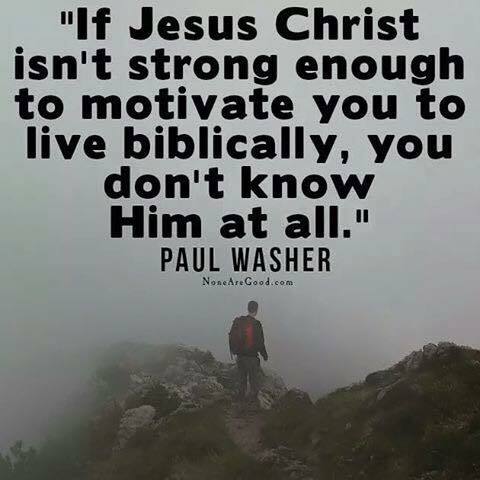 I think that knowing how the story turns out for those who follow Christ can do all those things! The problem with the old heaven and old earth, the creation you and I now occupy, isn’t that it’s intrinsically bad. It isn’t. When God first created this place we now call home, Genesis tells us: “God saw all that he had made, and it was very good.” [Genesis 1:31] The problem with this universe with all its intricacy and beauty, isn’t with how it was made. The problem is that the rebellion of humanity, the only of God’s creatures made in His image, has dragged the whole creation down to sin, death, and darkness. So, God has resolved to give a new heaven and earth--a new Eden--to those who turn from sin and the death that comes from sin and turn instead to Jesus for forgiveness and new life. In the meantime, as Paul says in Romans 8:22: “the whole creation has been groaning as in the pains of childbirth” for the new creation. If you’re like me and enjoy oceanside vacations, that may not sound very good. But remember that Genesis 1 begins with God’s Spirit moving over the thrashing seas of chaos. The first creation happened when God pushed back this chaos, carving out a universe of peace and order for His creatures. When humanity fell into sin, we ushered chaos, disorder, and darkness back into our lives. Jesus, the Lord Who, you remember, stilled the stormy waters of the Sea of Galilee, is going to subdue all the chaos, suffering, and death which bedevils us in this world and give all who follow Him a new creation of still waters. For the ancients, cities were places of safety and light in the midst of a dark, chaotic world, filled with thieves and wild animals. At night, people didn't want to be left outside the city gates because it was beyond the city that real danger loomed. This is part of what gave Jesus' parable of the prodigal son so much power to His original hearers. The road from Jerusalem to Jericho was well known as a place beyond city gates where thieves hiding in crags of rock would pounce on defenseless travelers. God is going to send and usher His people into a new city, a new Jerusalem, which His people will inhabit in eternal safety and joy. The morning that my great-grandmother died, my mom woke me and said, “Mark, Grandma is walking the streets of gold with Pop today.” Mom was saying that this woman who meant, and still means, so much to me, was in the new Jerusalem. It gave me comfort to know that my great-grandmother was with God. It comforts me now to know that if I will persist in trusting Christ in this world, I too will one day walk on the streets of gold in the city God has in store for His people. We members of Christ’s Church wait for God to descend to us like brides awaiting the return of their husband. In former times, you know, the presence of God on earth dwelt in the holy of holies at the temple in the old Jerusalem. The words will dwell translate the word in the original Greek in which Revelation was written, skenosei, literally meaning, will tabernacle. God will pitch His tent among His people. This is the same word we find in John 1, which tells us that God in the flesh, Jesus, dwelt or tabernacled in this world. In the new creation, we will never feel far from God. We will know intimacy with God. We won’t need a holy of holies; we will be living in the holy presence of God. Sin, death, and darkness will never get in the way of our fellowship with Him. Apparently, God doesn’t think that knowing how the story ends for those who follow Jesus--tears wiped away, death done forever, grief and pain dispensed with--will hurt us. In fact, I think it's safe to say that knowing the end of the story helps us. When we lose loved ones, knowing that all who trust in Christ live with God forever, can give us strength. When we know that we belong to God for eternity, it can free us to love even those who hate us and to bring God’s compassion and love to the lost and the hurting of this old creation. Revelation tells us that death isn’t the worst thing that can happen to a Christian. Beyond the gates of death is perfect life in the perfect city of God! Knowing how the story ends for followers of Christ can, if we will let it, make us downright bold and reckless about loving God and neighbor! Apparently, those who believe in Jesus Christ, won’t miss the sea with all its chaos, darkness, and sin. Instead, we will be given oceans of fresh and living water! God will slake our thirst for life and we will inherit a creation rich with the very life of God. The new heaven and the new earth will make Eden look like it was, just the beginning. In the end, there will be no end, only God and us living life as it was meant to be lived: filled with new creations, new stories, new adventures, new fellowship, new fulfillment. I hope that knowing the end of the story for those who dare to follow Jesus doesn’t ruin your experience of the story of your life, a life that God wants desperately to make continuously and eternally new.